The holiday season provides plenty of reasons to drink — that much we know. But as always, it's better to give than to receive, and it's better to drink well than to drown your sorrows with regrettable liquor decisions. Rather than showcase every single new release to hit the shelves, this roundup is focused on special holiday packaging, as well as limited editions and ultra-premium selections, offering a price range of $4 to $4,000 (for when it's really time to impress and blow that holiday bonus check). Here's how to choose wisely. 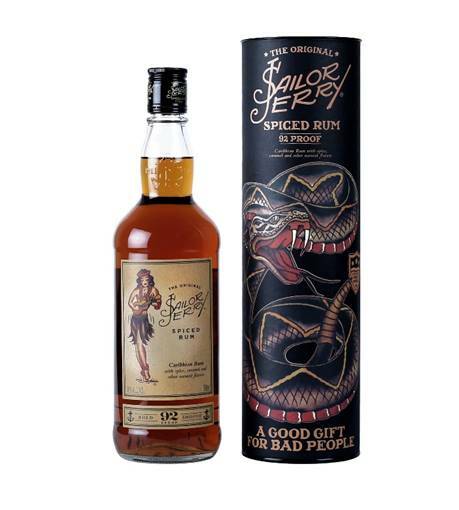 Buy a bottle of Sailor Jerry Spiced Rum, offered up in a stylized bottle tube, and you'll also get a limited edition poster showcasing a Norman Collins pinup girl. At this friendly price, you can gift everyone on your list a bottle, while spurring on rum-fueled, holiday-friendly discussions of pinup girls and tattoos. Win-win! Novo Fogo is making the caipirinha easier for would be home bartenders this year. Their caipirinha kit includes a bottle of their Silver cachaça, a muddler, and two mason jars for shaking and drinking. Just supply your own fresh ingredients and you're set. Then close your eyes, and pretend you're sipping it on the beach and not in a blizzard. Chivas Regal has partnered with LSTN Sound Co. for this year's special holiday tin packaging. The fancy tin box showcases a design inspired by sound, while portions of the sales of LSTN Sound Co's headphones themselves benefit the Starkey Hearing Foundation. Looking for a Chivas upgrade? Opt instead for the new Chivas Regal Ultis ($200). The blended malt release includes five single malt whiskies, and honors five generations of Chivas master blenders. It's an elegant, smooth, easy-sipping whisky that's sure to impress. The Wee Laddie Gift Box from Bruichladdich is perfect for the Scotch lover who wants to branch out and try several bottles, or for the already proven Bruichladdich devotee. The gift includes 200 ml bottles of several Bruichladdich releases offered in a snazzy presentation box. The trio includes the Classic Laddie, heavily peated Port Charlotte, and their Islay Barley release. 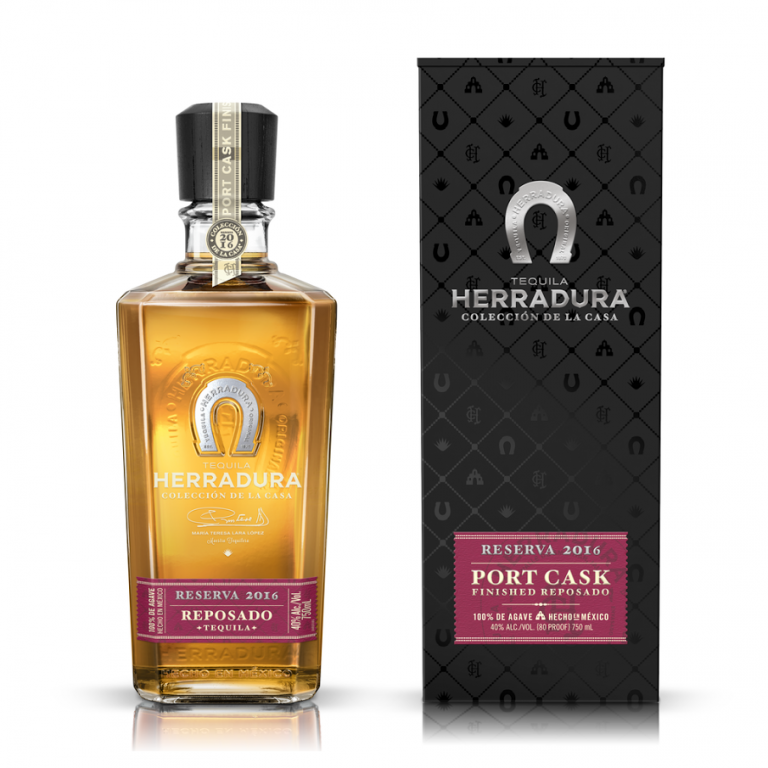 The fifth in Tequila Herradura's Colección de la Casa series is the Reserva 2016 Port Cask Finished Reposado. It's a follow-up to their 2012 Reserva release, the original in the series. This limited edition release has been aged for 11 months in American oak casks with a medium char level, and then finished for two more months in ex-port casks. The port-finishing is distinctive both visually with the tequila, and also of course on the palate as well. Lagavulin's epic 200th anniversary year continues with the release of the Lagavulin 12 year old anniversary edition (this is also the year their 8 year old release took home gold in the 2016 NY International Spirits Competition). It's a cask strength release bottled at 55.7% ABV, with special labeling and boxing to indicate the 1816 to 2016 commemoration. Aged in refill American oak hogsheads for a minimum of 12 years. Classic Lagavulin and an appropriate nod to the brand's history. "Wow, this is delicious for a three year old whiskey!" 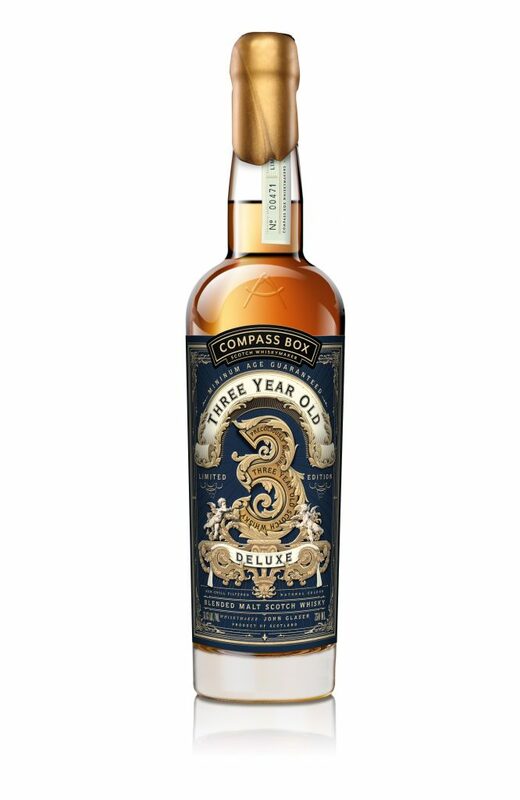 you think to yourself as you enjoy another sip of the latest limited edition Compass Box release. Well, that's the point. It's John Glaser's latest swipe at the Scotch whisky industry's anti-transparency regulations. Since the youngest whisky in the blend is three years, that's the only number he can put on the bottle. In truth, it represents just .4% of the luxurious whisky included. The global release includes 3,282 bottles. Time to pop some personalized bubbles over the holidays. 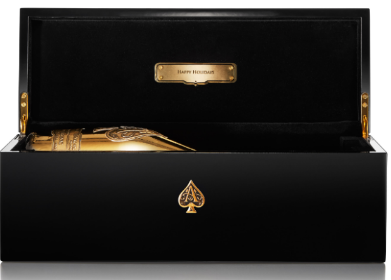 Champagne Armand de Brignac is offering a special program to personalize gift bottles during the holiday season via ReserveBar.com. Buy either a bottle of their Gold Brut or Brut Rose, and you add a personalized message to a nameplate. The metalized bottles themselves are offered in black lacquered wooden gift boxes, lined with black velvet. To purchase and personalize, go to ReserveBar.com. 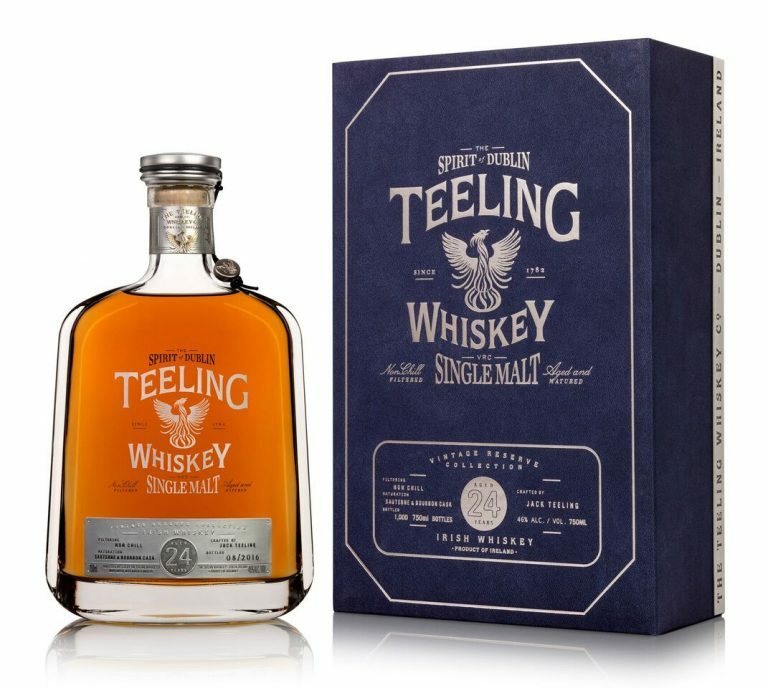 Teeling's new release is an exclusive 24 year old Irish single malt, distilled in 1994. The whiskey was first matured in bourbon casks, before being moved into Sauterne wine casks, imparting some of the signature fruits and flavors that fans of Teeling now expect to find. There's also a small portion of peated malt included in the whiskey. A limited run of 1,000 bottles is available. This is some fancy boozy chocolate, folks. The Patrón Alquimia Collection from Gabriel Kreuther’s Kreuther Handcrafted Chocolates incorporates rare Patrón tequilas, such as Gran Patrón Piedra and Burdeos, with uniquely matched ingredients, such as chestnut confit, Quebec honey, and pasilla chilies. Twenty percent of the proceeds go to City Harvest. Each box includes 24 chocolates. The new Alta Belleza from Casa Noble is the first in their Colección del Fundador series. The tequila has been aged for five years in French oak barrels, before being finished for another six months in ex-wine barrels which held Robert Mondavi To Kalon Cabernet Sauvignon. Despite the extra aging, the agave notes of the tequila are still fresh-tasting, but with a silky richness in the finish. Expect new annual releases in the series in the future. Only 563 bottles available. This year's Port Ellen is the 16th such offering, and it's a 37 year old whisky which was distilled in 1978. Each annual edition released by Diageo from the shuttered distillery with the huge cult following is something special to be savored, and splurged on. Yea, it'll set you back $4,000, but if you got that kind of cash lying around, then hot damn this is where you should be spending it. Less than 550 bottles available in the U.S.